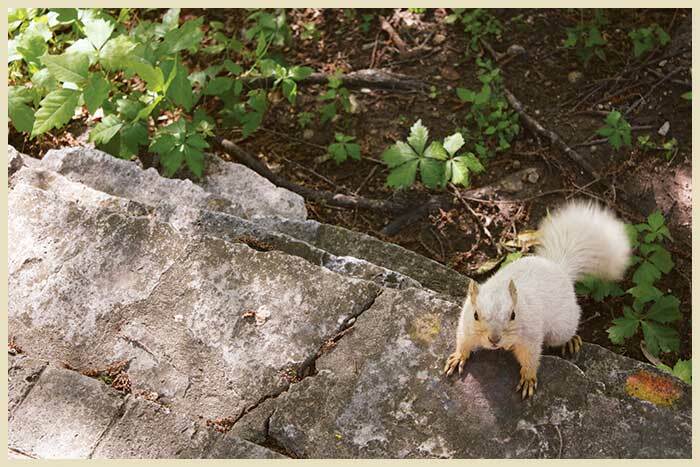 While there may be several white squirrels on campus, they aren’t really albinos, says UT biologist David Hillis. “It’s a color variant, not a true albino,” Hillis explains. Albinism is a genetic anomaly in which an animal has a total or partial lack of pigment. 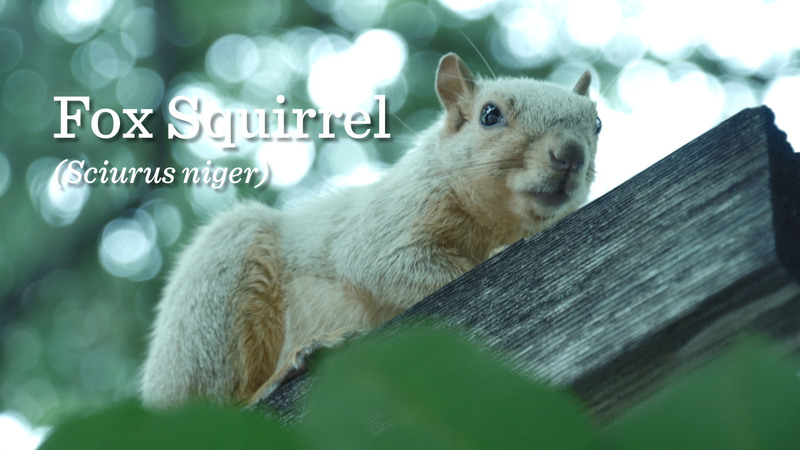 It’s much more rare—occurring in one in 100,00 squirrels, according to a 1997 Northeastern Naturalist study—than other color variants. Because albinos have poor vision, they’re at a real disadvantage in the wild. 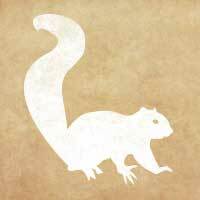 The fox squirrel on campus is an example of a rare color variation. Not sure whether an animal is really albino or not? “Look at the eyes,” Hillis says. Albinos have red, pink, or even blue eyes, while brown or black eyes indicate pigmentation. 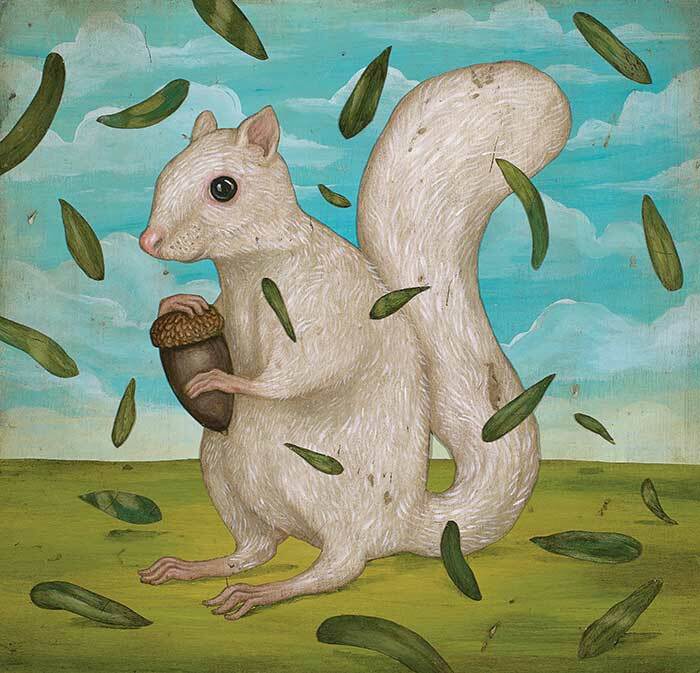 The squirrel—which is usually referred to with a single mythical 'he'—is said to roam the East Mall, and we've spotted him at the Alumni Center more than once. During the greater part of Jim Mauseth’s Intro to Botany course, students learn about the behavior and life cycles of typical plants. But for Mauseth, the high point comes when the focus shifts to the strange world of cacti. “We spend all semester teaching the kids how plants grow,” he says. “Then we go, ‘and here are the aliens!’” Welch Hall’s impressive rooftop greenhouse is filled with more than 300 species of spindly, spiky, and imposing cacti. Mauseth points out a few of the more thrilling varieties that have adapted to their harsh environments in unique ways. Fachieroa, a slender, branching, column-like cactus that reaches the ceiling, has a peculiar trick. For some unknown reason, it flowers only on one side. Mauseth says it would be like a human aging on only one side of his body. “Imagine that,” he says. When we reach the very un-cactus-looking Welwitschia, Mauseth stops in his tracks and faces me with a proud fatherly grin. “This is an incredible mutation,” he says. This lone male specimen arrived at UT in 1975, the same year Mauseth did. 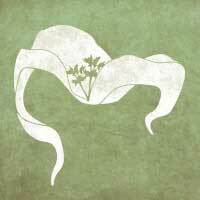 Native to Southwest Africa, it’s a very odd plant that can live up to 1,500 years; few universities bother to cultivate it. 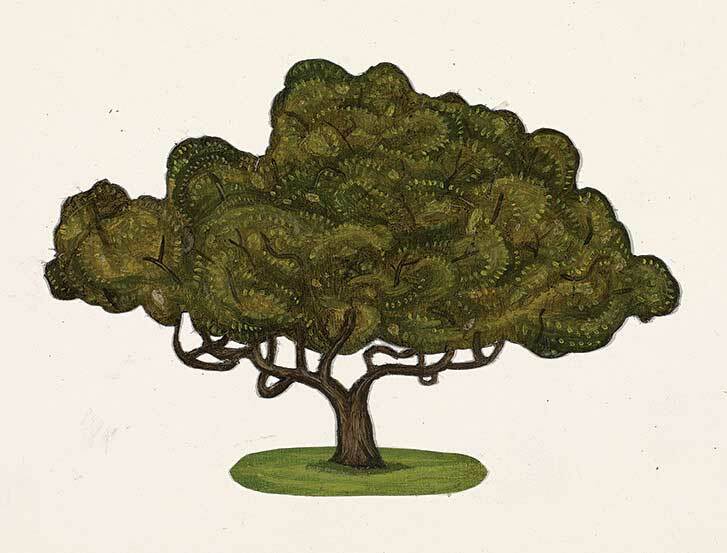 From its base, which resembles a large walnut, only two leaves will ever grow. They continue to grow long and curly throughout the plant’s lifetime. Mauseth and his team have written the dates directly on the leaves to chart their progress. The base—which is unlike anything in other plants—sits exposed on top of a tall, narrow pot, and its 8-foot leaves spiral down onto the floor. Scientists are not sure what exactly the base is, but it’s not a stem and it’s not a root. 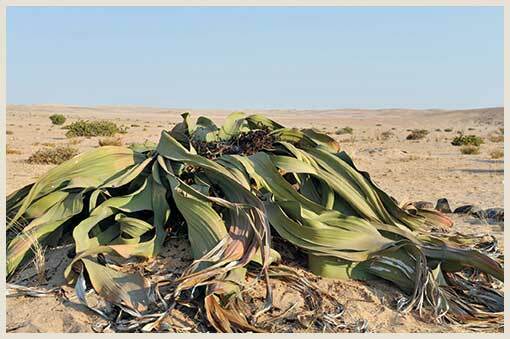 If you came across a Welwitschia in the desert, Mauseth says, the base would be hidden underground. All you would see is a big pile of curly leaves sitting in the middle of endless sand. 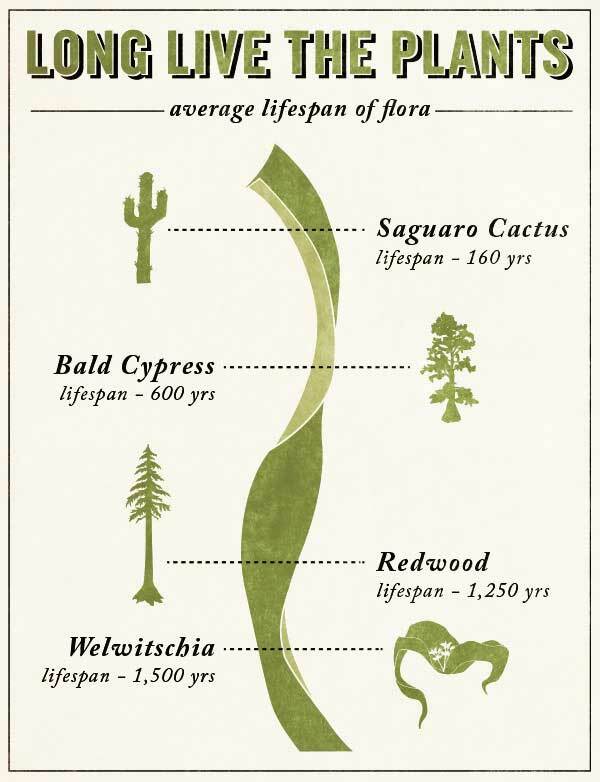 Mauseth just acquired 25 Welwitschia seeds from the Huntington Botanical Gardens in California. The seeds are very difficult to get, and he’s hoping that several will be female. The Welwitschia plant in its native habitat. "We spend all semester teaching the kids how plants grow. Then we go, 'and here are the aliens!'" 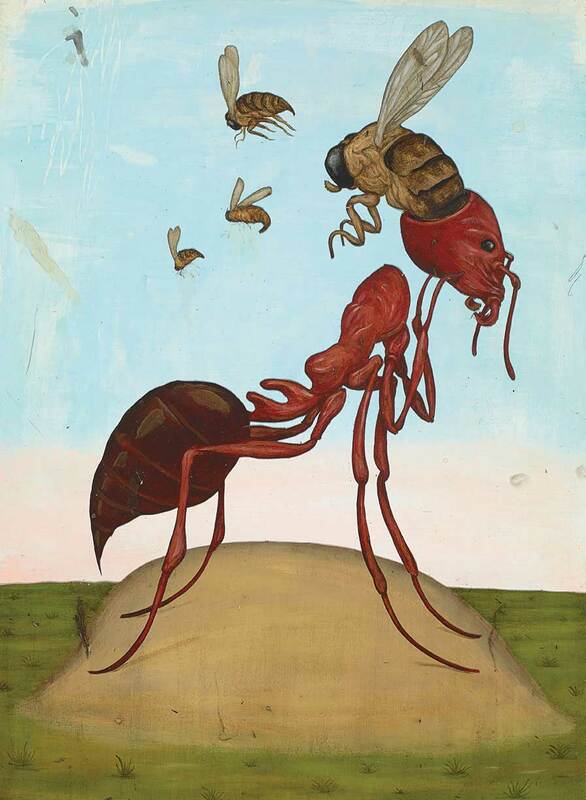 What’s worse than a sugary-looking mound of crawling, bulbous, blood-red fire ants? Zombie fire ants. The natural predator of the imported fire ant is the female phorid fly, a tiny insect that chases the ants as they march along a trail in search of food. The fly lands on her target and quickly injects one of her eggs near the ant’s thorax. The ant reacts like it has been shot—becoming partially paralyzed and confused before limping back to the mound. After developing, the larva cruises around the ant’s body, feeding on its blood and growing larger, eventually making its home inside the ant’s head and devouring its jaw muscles for fuel. At this point, the ant’s brain is still functioning, but the larva can control the body and walk it to a safe nesting place. Hence the term “zombie ants.” The head eventually falls off and roughly 45 days later, an adult fly emerges from the poor ant’s decapitated shell. Larry Gilbert, BA ’66, has devoted more than 30 years to studying this grisly scenario as director of UT’s Brackenridge Field Laboratory on Lake Austin Boulevard. He and his colleagues have been researching the effects of introducing the phorid fly into the U.S. to combat the dreaded fire ant. Imported fire ants—not to be confused with native fire ants—most likely made their way to our front yards as stowaways on ships from Brazil and Argentina in the 1930s. 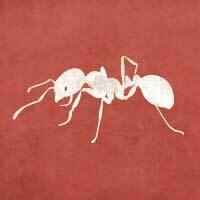 Because they had no natural predators here, the ants thrived and spread west to Texas and beyond. 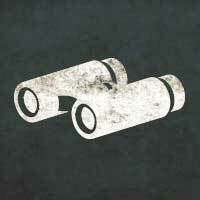 While most people are searching for a way to eradicate the species or “nuke ’em,” as Gilbert says, he and his team believe in playing the long game. Their research suggests that deploying their natural enemy, the phorid fly, is a safer and more economical way to control them than pesticides. In South America, where fire ants and phorid flies coexist, fire ants aren’t considered persistent pests. Fire ants don't just sting; they bite you, too. Before jabbing their stinger into a human body and injecting toxic venom, fire ants anchor themselves to us by clamping down with their mandibles. High above the Forty Acres, on the roof of the Patterson Building on 24th and Speedway, there is a Central American rainforest. Larry Gilbert created this environment—and a similar habitat at the Brackenridge Field Laboratory—in the 1970s to study the relationship between butterflies and their preferred host plants, passion vines, where they lay their eggs. Theresa Freiburger, BS ’10, a full-time technician, is the caretaker of the flora and fauna that fill the large greenhouses here. By the time August rolls around, these glass structures become punishingly hot and humid, but it doesn’t seem to bother Freiburger. She cheerfully works away, grateful not to be behind a desk. As she leads me on a tour through the greenhouses, she catches butterflies by gently pinching their wings, and then shows me the unique colors and patterns that mark each one. 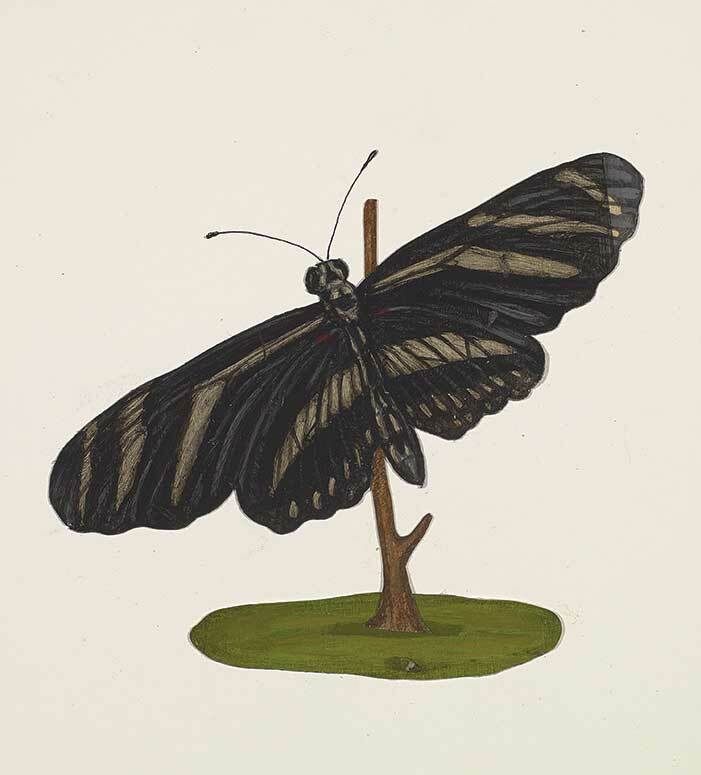 Freiburger mastered this technique as an undergrad studying ecology, evolution, and behavior, and today she can grab butterflies without brushing off a single scale. They hang between her fingers calmly, like kittens caught by the scruffs of their necks. One especially striking species is the aptly named zebra longwing, whose black-and-white striped wings flutter wildly around us. 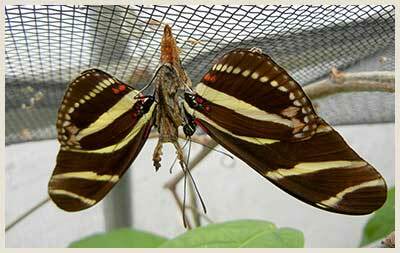 These butterflies have an unusually aggressive mating ritual, known as pre-pupal mating. Male zebras attach themselves to a female’s cocoon, and hang there waiting for her to emerge. “They will not let go,” Freiburger says as she shows me two males glued to a brown pod hanging from a vine. Male zebras attach themselves to the female's cocoon, and hang there waiting for her to emerge. 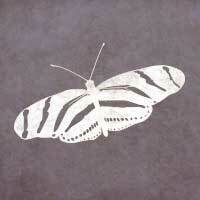 The butterflies hang between her fingers calmly, like kittens caught by the scruffs of their necks. Some species of passion vines are known to mimic the appearance of butterfly eggs by producing small, round glands on their leaves. This behavior fools butterflies into thinking that another insect has claimed the leaf, and ultimately saves the plant from becoming a caterpillar's next meal. At The University of Texas, no tree is more iconic than the live oak. 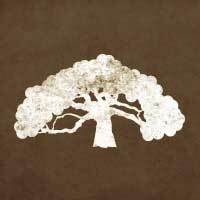 Usually wider than they are tall, with majestic, winding branches that can grow to rest along the ground, live oaks offer much-needed shade to vast swaths of the Forty Acres. They are also a living record of University history—from the Battle Oaks, which at 300 years old are UT’s oldest trees, to the Constitution Oak, planted in 1937 to mark the U.S. Constitution’s 150th birthday. 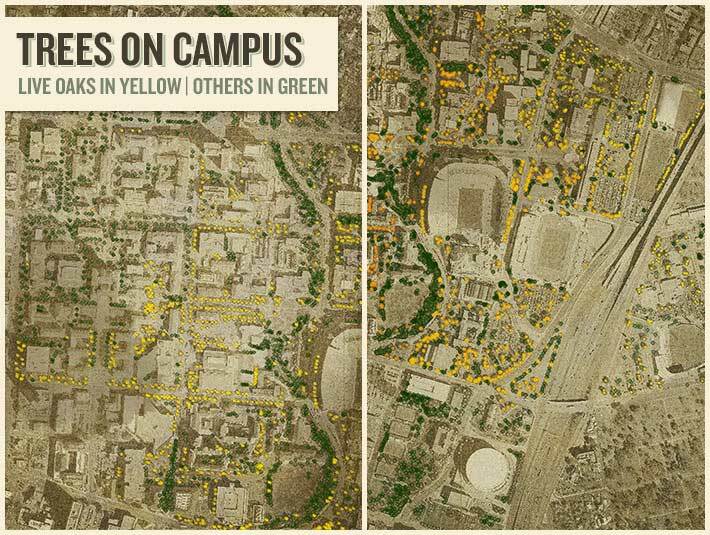 A map of trees on campus, with live oaks in yellow. The Goose Island Oak in Rockport, Texas, is among the world's oldest and largest live oaks. Estimated to be more than 1,000 years old, the tree has a trunk circumference of 35 feet. Travel two miles north from UT’s main campus to the Whitaker Intramural Fields, and you’re likely to see students playing soccer or ultimate Frisbee. But look up at the 50-foot steel light poles that illuminate their games, and you might do a double take. In a scene more tropical than Texan, hundreds of green parakeets flit back and forth above the fields, squawking as they build enormous nests atop the poles. Lime green with sapphire-tipped wings, orange beaks, and cheeky little faces, the footlong parakeets are undeniably cute. And they look nothing like any other bird in Central Texas. Brian Stillman, RecSports’ assistant director of facility operations, says that 2,000 UT students pass through Whitaker Fields on a busy day. 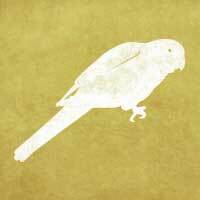 He estimates that they share the fields with nearly that many parakeets—a huge flock by any measure. Stillman has seen students pause their softball practices to snap photos of the eye-catching creatures. 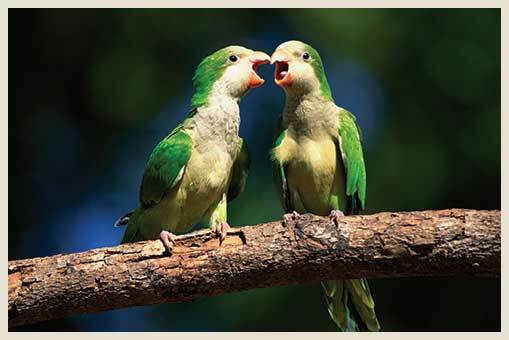 Native to Argentina, monk parakeets were imported to the United States as pets in the 1960s. 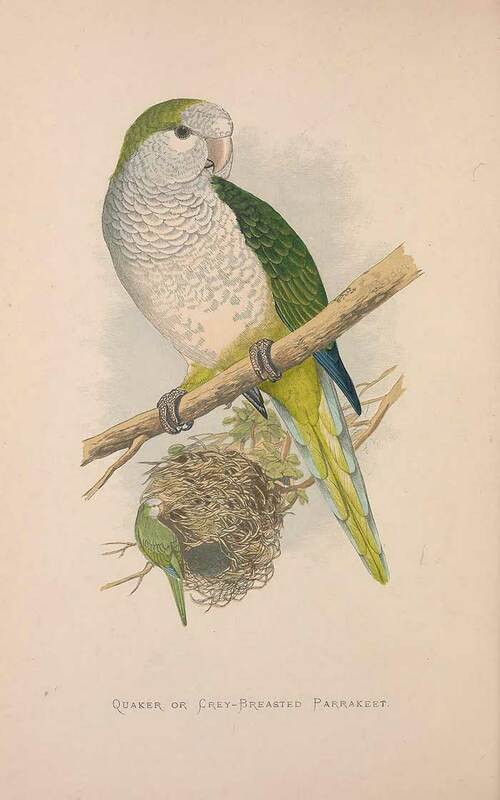 Escapees bred in the wild, and thanks to their ability to tolerate cold, monk parakeets now live everywhere from New York City to Chicago to Spain and Belgium. They’re not always welcome. Because the birds roost atop power lines and light poles, they can sometimes cause power outages. In Leonia, New Jersey, a particularly large nest on a utility pole cut power to more than 3,000 homes. 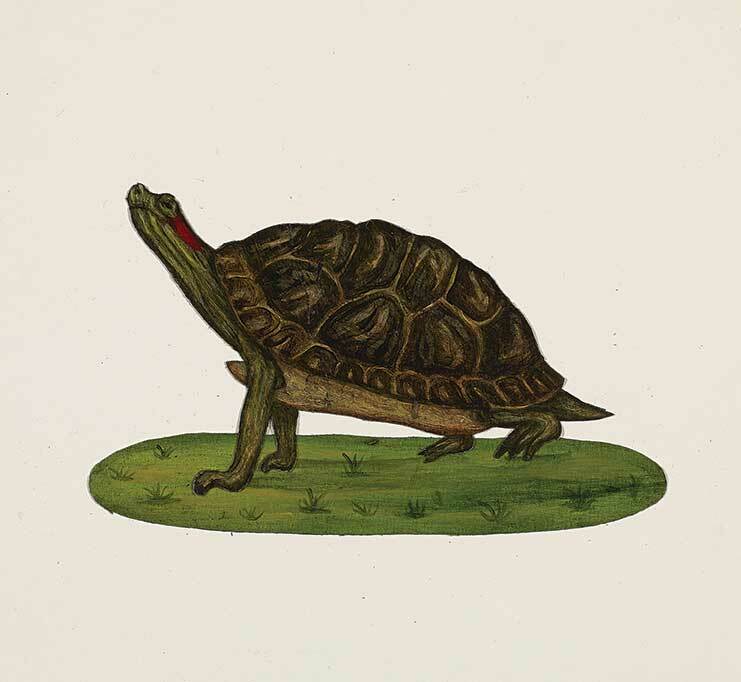 Illustration courtesy Biodiversity Heritage Library. Monk Parakeets perched on a limb. As scientific research subjects go, switchgrass is not the most convenient. 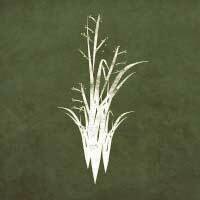 This giant Texas grass can reach 8 feet in height and consume an entire square meter of space. Its sheer size makes it cumbersome to manage, and when UT researchers harvest the plants at the end of each summer, they invariably fail to squeeze the enormous grasses into 30-gallon Home Depot lawn bags. 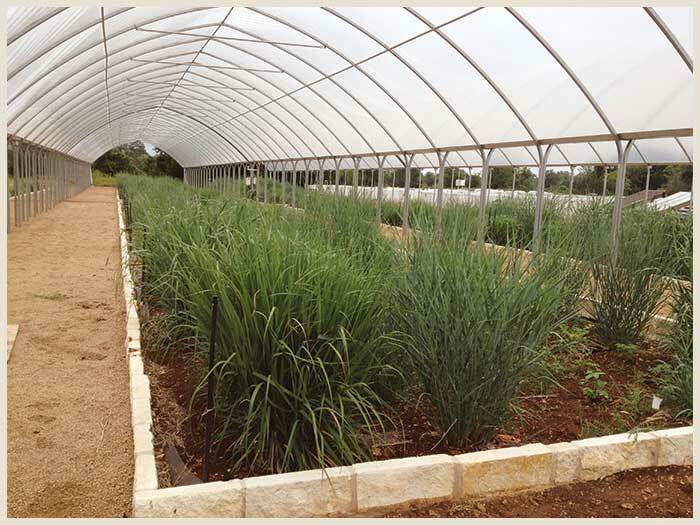 At UT’s Lady Bird Johnson Wildflower Center, Hawkes and her research team have grown a switchgrass forest inside a greenhouse. They believe that fungi living inside this cumbersome species could hold the key to understanding how plants survive or die in drought—a question that seems more pertinent than ever as Texas faces a hot, dry future. All plants have fungi living symbiotically inside them, Hawkes explains. When a fungus grows on a plant’s roots, it gets sugar and the plant gets help absorbing nutrients. Different fungi can have varying effects on plants; Hawkes is searching for those fungi that will help the switchgrass resist drought. In a sterile greenhouse, her team has tested 20 fungi under a wide range of weather conditions. "In the long run, this kind of project can help us grow food and maintain our lawns." Switchgrass growing in the Lady Bird Johnson Wildflower Center research greenhouse. Think you’ve logged a lot of hours in the cool waters of Barton Springs? Laurie Dries, BA ’93, probably has you beat. A biologist for the City of Austin, Dries scuba dives in the springs every Thursday, rain or shine—even in the dead of winter. What are she and her team doing down there? Counting salamanders. Dries’ job is to manage and evaluate the wild populations of salamanders in the pool and its adjacent subsidiary springs—and it’s a job that suits her well. "I like being underwater," she says. "There is so much diversity in freshwater. 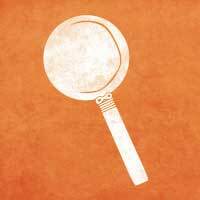 All of this variation can be under a single rock." 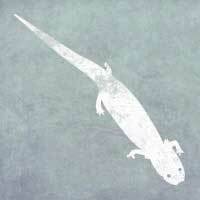 The Barton Springs salamander grows to about 2.5 inches in length and can live up to 11 years in captivity. One of only a few fully aquatic salamanders, the Barton Springs species relies on cold, clear, fast-moving water, and it is most often found at the outflow of the springs. The salamander’s red, external gills resemble a wild mane, and its body can range in color from gray to purple to yellowish-brown. "I think it's amazing that the salamanders are hanging in there. But they are." In 1993, UT biology professor David Hillis and Paul Chippindale, PhD '95, were the first to formally describe Eurycea sosorum. 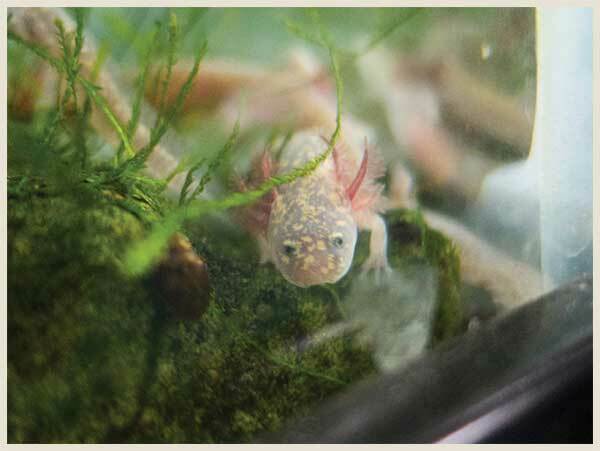 Previously scientists were aware of a salamander living in the springs, but Hillis and Chippindale were able to scientifically demonstrate that it was distinct. The Barton Springs salamander displays its mane-like gills at Barton Springs. So why study this ornery species? “Because they persist in an environment that has been tremendously altered by humans,” LaDuc explains. “Why and how do they survive when other snakes no longer do?” Learning the snakes’ survival strategies, he explains, may help show how drought and pollution are changing the creek. 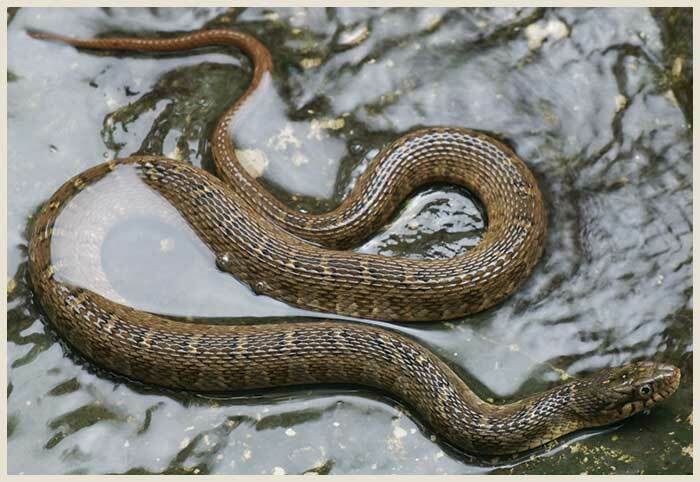 Q: How can I tell if a watersnake is venomous? A: If you're close enough to tell, you're too close. A blotched watersnake lounges in its natural habitat. 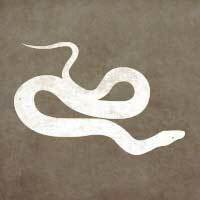 "If you seize up and the snake sees you coming, he has a chance to bite. And these snakes are pretty bitey." Stop by UT’s iconic Turtle Pond on a sunny spring afternoon, and you might see something odd: a pair of turtles—one small, one larger—circling each other in the water. Every few seconds, the smaller turtle darts in and vigorously slaps the larger one in the face. Longhorns are protective of their Turtle Pond, and when a student or professor witnesses what looks like turtle violence, David Hillis’ phone will ring. The UT biology professor is the unofficial guardian of the Turtle Pond, and he dispels Longhorns’ turtle misconceptions several times a week. In a slightly weary voice, Hillis recounts some of the most common inquiries: “People will call or email and say, ‘I’m worried because the turtles are fighting,’ or ‘There’s a turtle running away from the pond.’” What looks like slapping is actually normal behavior, Hillis reassures. It’s a springtime ritual in which the male turtle slaps the larger female, hoping to impress her enough to mate with him. And as for runaways, they’re usually a good sign: female turtles take to the grass to lay their eggs. 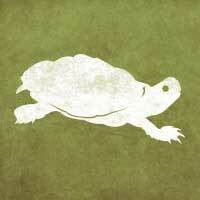 Besides the occasional orphan, the pond is home to four native turtle species: the red-eared slider, the spiny softshell turtle, the Texas river cooter, and the common snapping turtle. The slider—by far the most common species in the pond and the most popular pet turtle worldwide—is a medium turtle ranging from 8-13 inches in length. Exact numbers are hard to come by, but Hillis estimates the pond may hold from 40-50 turtles. "They're wild animals and they can take care of themselves. What they have to worry about more often is us." They require constant sunlight, making them hard to keep indoors. Turtles may carry salmonella, so they could make you sick. Many turtle species are illegal to keep as pets.